What is a Residential Building Survey? A residential building survey comprises of comprehensive assessment and evaluation of a property and its condition, by a professional. There is a vast range of building types that come under the category of residential property; and a typical residential property survey consists of inspection of the building’s fabric, finishes, structure, outbuildings and grounds, and all kinds of defects. Residential building surveys also involve professional opinion in the form of surveying reports which includes balanced and unbiased expert judgment in detailed form and style, as requested by the client. The reports contain details of all the visible and hidden defects; as well as guidance regarding remedial measures and maintenance of the residential property. 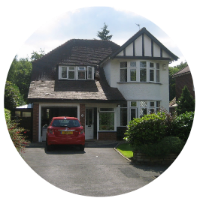 A residential property survey is classified as a level 3 type of property surveying service. This signifies that the level of property assessment and preparation of reports is more comprehensive than the level of generating a homebuyer report (level 2 type of service). When is a Residential Building Survey Selected? The residential property falls under the category of a ‘complex building’, i.e. altered to a great extent and/or greatly extended. The condition of the residential property is poor. If the residential property is going to be under extensive repair and rebuilding works in the future. If the property you are willing to purchase fulfills any of the above criteria, then a residential building survey is recommended, as it will provide you with comprehensive information regarding the property’s condition and will help you in making an informed decision. Apart from this, if you are the owner of an existing residential property having one of the above scenarios, then a residential building survey will bring forth all the serious defects and issues that require immediate consideration and maintenance. If you select a lesser level of service for your residential property falling under any of the above mentioned criteria, then the reports prepared by a Chartered Surveyor will be incomprehensive and inconclusive. This will result in further inspections and referrals that will only added to the cost of the surveying task. So the best choice is to opt for the right level of service for your property. For more information regarding residential building survey services, contact Riley James on 0161 885 2364 / 01663 721717 to get in touch with one of our Chartered Surveyors. Do you have a question or do you simply want to know more?